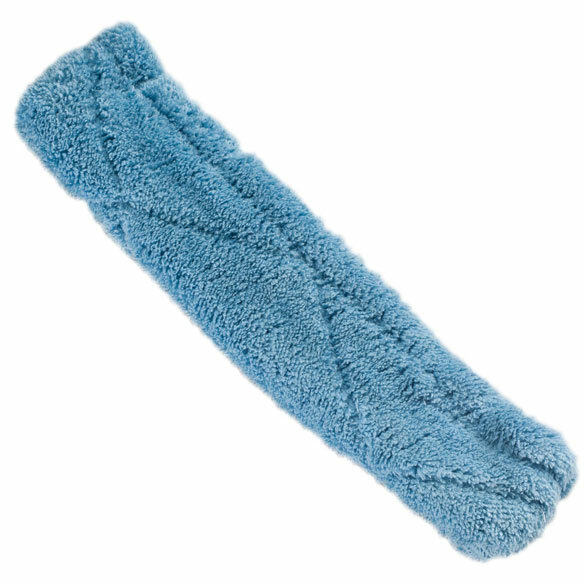 Microfiber cleaning replacement head scrubs gently without scratching and removes for washing. This replacement microfiber cleaning pad makes sure you always have the right tools for a sparkling shine. I have a sunroom with slanted windows to clean, to go with the telescoping squeegee. It is on sale and we can use it for the windows. For what uses/product DO you recommend this? And size, please?? does it fit swifter mop ? BEST ANSWER: Thank you for your question. We do not recommend using for the swifter mop as it will not fit properly. We hope this information will be of help to you. BEST ANSWER: Thank you for your question. It measures 12 3/8” long by 2 ¾” wide. We hope this information will be of help to you.